A sweet, tangy pineapple snack may result in some unpleasant numbness in your mouth, specifically the tongue and lips. Although this feeling can be alarming, it doesn't necessarily signal a pineapple allergy, and may be preventable by properly preparing and ripening the pineapple before eating it. After consuming pineapple, you may experience unpleasant feelings in your mouth, including burning, rawness, numbness, stinging or even bleeding on your lips, tongue or cheeks. These symptoms occur immediately after eating fresh pineapple flesh or pineapple core, and will generally subside without the need for medication or other treatments. Pineapple contains a group of enzymes called bromelain, which breaks down the proteins in meat and flesh -- including your own mouth. Bromelain works by removing the molecules on the surface of cells, essentially digesting them. Although this makes bromelain useful for tenderizing meat, it can also cause pineapple to leave your mouth feeling raw and numb. Bromelain begins to break down the proteins on the surface of your lips, tongue and cheeks when it makes contact with these areas. Although fresh pineapple always contains the bromelain responsible for mouth numbness, you can reduce unpleasant effects by ensuring your pineapple is fully ripened before eating it. Look for pineapples with a strong aroma and golden color. 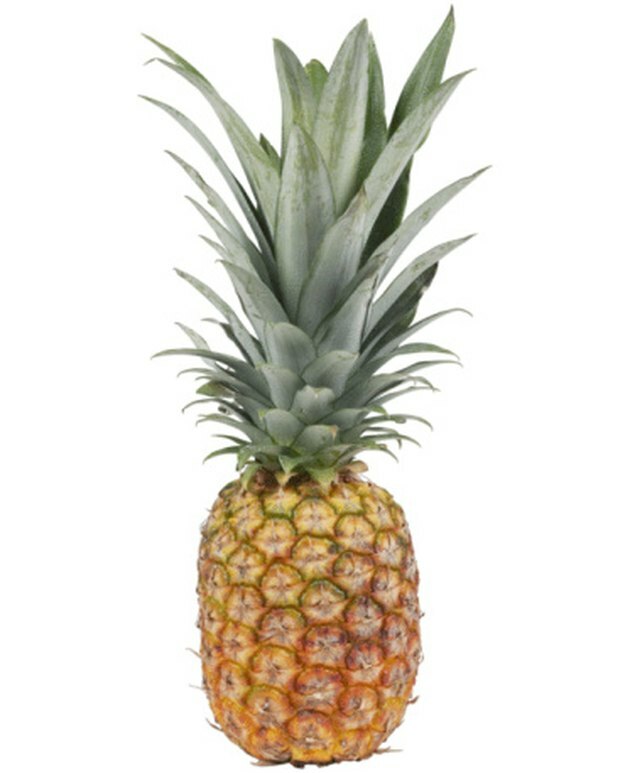 If the pineapple still has green coloration on its peel, stand it upside-down with the leafy end on the counter for several days until it turns yellow or golden, indicating ripeness. Because the canning process deactivates the bromelain enzyme, eating canned pineapple is less likely to cause mouth problems than fresh pineapple. In addition, consuming fresh pineapple in moderation rather than eating large amounts in one sitting may help prevent mouth numbness. Although pineapple allergies are rare, they do exist. If you experience a numb mouth accompanied by other adverse symptoms such as rashes, hives, fainting, diarrhea, nausea, dizziness, shortness of breath, swollen tongue, itching or wheezing, seek medical attention immediately. You may be at higher risk of a pineapple allergy if you're also sensitive to latex, because the proteins in certain fruits like pineapple, melons and bananas can trigger cross reactions in latex-allergic individuals.